Feedback is an important component of the learning and teaching experience in that it provides the learner with new and complementary perspectives that aim to improve their practice. Feedback, however, is neither a practice exclusive to formal education, nor a practice that need only be formal – or summative – within educational practices. We receive and provide feedback in formal and informal contexts; in and outside of the educational system; as learners and teachers. This blogpost briefly highlights the role of the participatory web in stimulating feedback for learners in the midst of learning. The emergence of the read and write web created a phenomenon that only 20 years ago we didn’t believe possible outside the realm of science fiction. The role of creating and disseminating information to the masses was reserved only to a few. However, the recent developments of easy to use technology have empowered the common individual with the production of content and different forms of participation. The web as a social space where information is produced and distributed is also a space for participation that facilitates people coming together across various networks to share their ideas as part of gathering feedback. The web is a place where educators can comment alongside learning, can use feedback to think with learners. 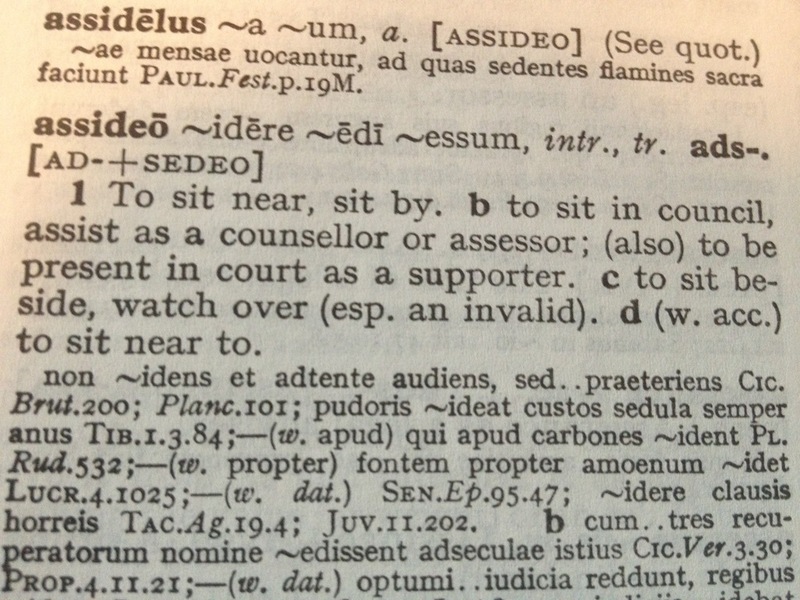 “Assideo” – the root of assessment; to sit beside. As individuals start adjusting the way they use the web to their own needs, new practices start to emerge. These often supplant or provide alternatives to more conservative approaches. In the context of daily ordinary practices, feedback given online can, for example, be seen as rating the quality of a restaurant or a hotel; an activity once reserved to experts who published reviews in the local newspaper. Crowdsourcing client opinions via social media has indeed become a current practice that keeps services on their toes as the aggregation of individual reviews on a given social media service informs others about the standards and quality of the service reviewed. Who books a hotel without looking at Trip Advisor first, for instance? Amazon products are also rated and reviewed to give the client an idea of the supplier. Since such practices don’t rely exclusively on professional reviewers, a critical look through the comments provided on the sites mentioned above often gives us a balanced user opinion of the quality of the service. How can we appropriate these practices in education in a way that they are meaningful and generate new opportunities for distributed learning? Online feedback takes the form of a conversation within given communities and networks. It can be as distributed or concentrated as we allow it to be. Yet, the value of using the web as a vehicle for feedback is in the different people that come together to co-construct meaning and enhance practice. 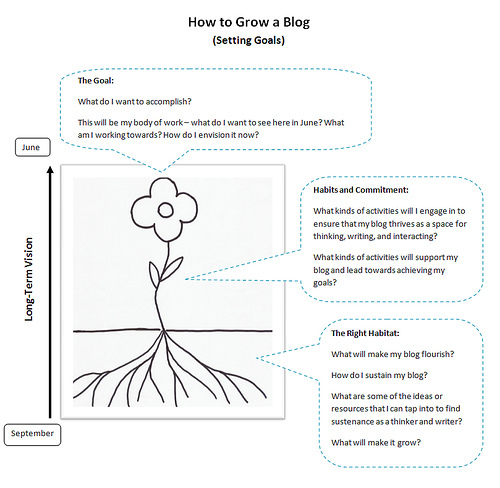 Using the web – especially blogging platforms – to enable feedback as part of the learning experience is still underexplored. Below I provide a couple of examples of how it can and has been used by different educators in different contexts. Learner-Learner feedback: This year I have started teaching a new programme called Teaching Essentials for Graduate Teaching Assistants. As part of the course students are expected to reflect on the weekly topics discussed in class via individual blogs. To add a second iteration of reflection, students informally comment on peers’ reflections to continue the discussions started in class. This use of social media to extend conversations with feedback on discussion topics as well as student-created work has generated further debate and deepened students’ thinking about the topics they are studying. Tutor-student interaction: Language Students taking part in our Resident Abroad programme are required to create a reflective portfolio of practice that captures their experiences and learning in the countries to which they have travelled to complete their studies. The portfolios are developed on blog platforms shared with their home University tutors / teachers who, in turn, use comment features to provide formative feedback and further assessment via a rubric. This use of social media allows tutors to provide on going feedback and students to refine their studying abroad portfolios for submission when the programme ends. Learner-Network Feedback: Professor Alec Couros makes use of his own educator network to enable his students to learn from a wider range of educators. Before each semester, Professor Couros asks members of his personal learning network to volunteer as “mentors” to his new students. The role of the mentor is to read and provide comments on students’ blog reflections throughout the term. This simple activity enables people with different levels of experience and expertise to come together in an open exchange of ideas and feedback to discuss education in informal, collective, and meaningful ways. Through participation and active contribution in social media – such as the use of blogging platforms as a way to share course writings, collect feedback on ideas and publish polished workers for further commentary from peers, teachers, personal networks and new readers with open access – we can develop learners’ confidence and prepare them to become successful learners beyond formal education. Obviously there is also a need to socialise individual students into a range of smart, useful practices for giving, receiving and making use of feedback. I think the ‘recipe‘ relies on reciprocity and common sense reflective writing strategies. I personally like to think that feedback in open spaces such as blogs provides a forum allowing people to think with a learner rather than thinking for the learner. There is often the risk that people may see that as a weakness – and many still do. But if we understand the risks, then work with learners in setting up learning networks and personal learning environments, the benefits become much more important and the risk of opening up our learning is converted into the advantage of generating more learning. ← Why deal with the “hard stuff” in class?